We are a bit counterintuitive in the way we work within the concierge team and in our approach to client service. We believe it is from vulnerability that we build our strongest relationships. What does this mean? Simply put, we will often impart great ideas and start consulting early on; we will ask lots of questions, some which might startle conversations or seem unexpected. The base of this approach is not that competency is unnecessary – quite the opposite. We know there are many competent individuals from whom to choose among our competitors – like others, we are as deep in resources and as confident in our abilities. However, our distinguishing factor will always be transparency and honesty, candor and humility. And further, we want to take the time to really know you as we work together. After all, you are our most valued team member. We have proven that this approach garners trust, openness among our clients, and a willingness to implement solutions that we bring. Throughout, we develop loyal bonds, communication stays open and accountability and ownership remain strong. We have as a common goal to obtain the best outcome possible for your most important cases. With this stated, we believe in a clear and concise process – at each step, we insert flexibility as needed. Our most important emphasis to you, our valued advisor, is that you rely on our expertise and resources to achieve optimum results. We will do much of the heavy lifting, however, we will need you to be an active partner throughout the process. It is our genuine goal to lessen anxieties that often come with larger cases, especially when a greater number of stakeholders are involved. Cases processed by our Concierge Insurance Group team must have a face amount of $10M or larger, or a target premium of $20K or greater. Your Advanced Sales Strategist is your first point of contact. If you do not have one, please reach out by navigating to the CONTACT US tab above, call or email us, and we will connect you with a best-fit credentialed and experienced Strategist immediately. Start with a general discussion about your opportunity or challenge, either by phone or in person. Discuss the overall role you wish us to play with you / your client – this can range from remaining entirely your back-office support, to providing point-of-sale consultation with you and/or your client. We will be sure we each understand upfront our level of engagement and what this means to you. Who is the client – name, gender, date of birth or age? What is the goal or purpose of insurance? Is there existing insurance currently in place – if so what / with whom / how much? Have any recent attempts been made to secure additional coverage – if so, were there any challenges? What is the client’s general medical history / any tobacco use? What is the client’s financial status – income / net worth? What are your expectations or those of your client? It is often necessary in cases involving estate planning, business solutions, or any number of advanced concepts, to develop preliminary design ideas, which will later carry into further intense development as a case progresses. Our Advanced Sales Strategists have a multitude of resources to support these stages and to support any level of case design. The end goal is to craft simple and concise presentations for you and your client. Your Strategist is equipped with knowledge, software, programs, tools, and multiple advanced carrier platforms and expertise, all of which will be deployed. Our team’s resourcefulness is of great advantage to your case. Once our preliminary case work is complete, the pre-underwriting phase can begin. A key component of large case underwriting is introducing and positioning a case strategically and in the best light possible to the carrier. To do this, we involve our dedicated internal underwriter upfront and throughout the process in EVERY Concierge Insurance Group case. These should be forwarded to your Advanced Sales Strategist, as they know how to justify high face amounts, how to navigate complex financial situations, or cover needed extra financial nuances related to premium finance, foreign national, or other customized situations. Our underwriter will take this information and write a summary letter, introducing and positioning the case, outlining what he believes to be a deserving rate class consideration. He will indicate to us whether he believes it is best to take the case informally to multiple carriers first, to shop the case, or to formally submit to a single carrier. 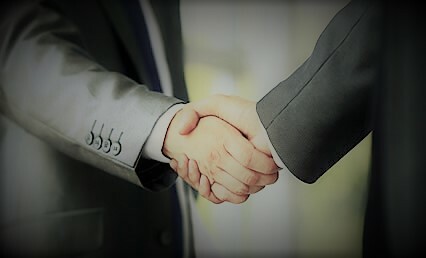 At the point of informal or formal submission, your field Strategist will work with you to gather the necessary paperwork, while our case manager will handle each step of the process, from ordering of the initial insurance exam and lab requirements, to providing the high-touch service our team and you demand. Depending on each of our roles in the field, she will be the point-of-contact for either your Strategist or you, our advisor, or both. Our active management of large cases means that we work hard to get in front of challenges and communicate carrier requests and decisions rapidly. When additional records are requested, these will be reviewed first by our internal underwriter to provide necessary input or get the details likely to be asked in advance of submission to the carrier’s underwriter. If a carrier underwriting decision comes back other than applied for, our dedicated underwriter is again engaged and ready to question the decision, obtain details and reasoning, and if it makes sense, to push the carrier for a more competitive offer or shop the case to other carriers. He will guide us when he believes all avenues have been exhausted and the best offer has been put forward for consideration.